AP Chief Minister (CM) N Chandrabhabhu Naidu is of the favor that Modi govt. should scrap the new Rs. 2000 and Rs. 500 note completely. He asked the center to demonetize them and make progress and promote digital payments. “It was I who first demanded the abolition of Rs 1,000 and Rs 500 notes. Now, they brought Rs 2,000 and Rs 500 notes but they too should be scrapped,” Naidu, who heads a panel of chief ministers on digital economy, told reporters. His fresh demand came in the light of a hawala racket that was busted by the Visakhapatnam police today. “A staggering Rs 1,379 crore was sent out using the hawala route. I once asked the RBI — after the demonetization — to send more money to AP. The RBI Deputy Governor told me money was ‘coming to AP but don’t know where it’s going’. Now, we know where the money is going,” the Chief Minister said, referring to the hawala racket. “So many fake companies were created for these transactions. Some nondescript persons have done all this. Who is the role model for them,” Chandrababu asked, indirectly taking a dig at YSR Congress president Y S Jaganmohan Reddy? “These people are tarnishing the image of AP. Who knows how many such rackets exist (in the state) and who is the role model for them? We have to deal with them in a tough manner and protect the state’s image,” the Chief Minister remarked. Attacking the YSRC president, the TDP supremo said the formerly extended support to the NDA in the ensuing presidential election only because “he has no other option”. “We (TDP and BJP) are coalition partners. Why did he (Jagan) go and meet the Prime Minister (Narendra Modi)? He announced support to the NDA in the presidential election as he has no other option,” Chandrababu said. 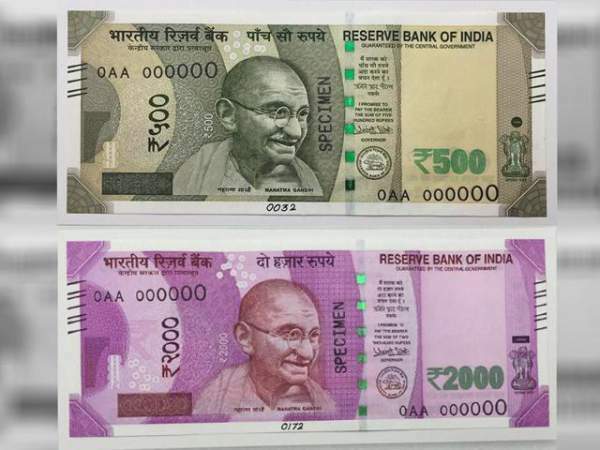 In November last year, the Narendra Modi-led government had introduced the Rs 2,000 and Rs 500 notes after announcing the demonetization of Rs 1,000 and Rs 500 currency notes. Previous articleUFC 211 Results: Who Won Miocic vs dos Santos 2?